My friends and I love dogs. When I saw this cartoon traveling around the internet, I sent it to them because it describes us so well! We do petsitting and are very involved in dog rescue. 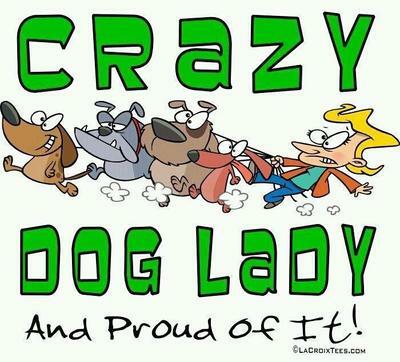 We are the crazy dog ladies!! !